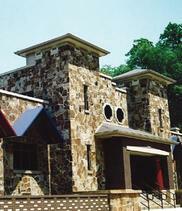 The NCAC Training Center is located on the campus of the National Children’s Advocacy Center in Huntsville, Alabama. The NCAC Training Center is one of the leading providers of quality training for professionals working with abused children and their families. To meet the varied needs of the child abuse professional, training sessions are available On Campus, Online, Customized Training – On Location, and through a professional conference. CALiO is one of the largest professional resource collections available today, providing access to published knowledge, educational materials and resources related to child maltreatment. This online library provides an array of professional services, described below, including online search services, table of contents services, and training. CALiO and NCAC’s On-Campus Research Library are primarily research collections supporting the professional work of the organization. However, the library and its collections are available to other professionals and to the public.